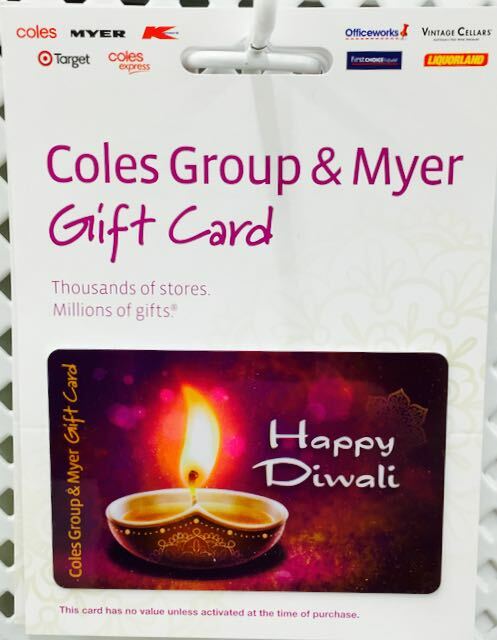 Coles embraces the Diwali festival – why not newsagents? 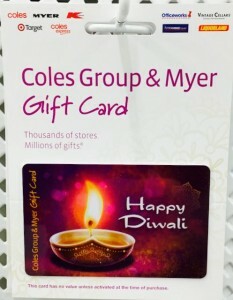 I was surprised to gift cards for the Diwali festival at a local Coles supermarket a few days ago. Interest piqued, I researched Diwali online and discovered it is a Hindu related festival. The 2012 Census revealed 275,534 people identify as Hindu. While it surprises me that Coles would have a gift card produced festival, that they have done so could speak to a localised focus and if so it reflects an almost small business approach. With newsagents selling around 32% of all greeting cards sold in Australia you;d expect our channel to be the occasion channel. Why, then, is the Diwali festival not on our radar? Have we missed something here? We are in a time where focus on special interests is more important than ever. That Coles is serving the Hindu community in this way speaks to an attention to special interests. We newsagents need to catch up if we are to serve such special interests. On the gift card itself, I know a bit about the cost of producing such cards because of my work with tower Systems. Sure, the cards cost a few cents to make. For a company like Coles there would be considerable overhead involved in design, production and in-store space allocation.